Ranking colleges and medical centers is a futile, highly subjective, and ludicrous endeavor. Nevertheless, rankings matter tremendously for marketing reasons. Baltimore’s Johns Hopkins has been at the top of U.S. News & World Report’s rankings for 21-years in a row. It has a long history of pioneering in surgery and medicine. It is considered the birthplace of modern medicine. Ed Miller, MD had been the Dean and CEO of the Johns Hopkins medical complex from 1997 to 2012. The Healthcare Channel interviewed in in 2011. In July of 2012, Paul Rothman, MD, the Dean at Iowa, was tapped to replace Miller at Johns Hopkins. Some senior professors at Johns Hopkins have told The Healthcare Channel that Rothman was a strange choice. Never before had an outside Dean been hired to become the Johns Hopkins Dean and CEO. Also, Dr. Rothman’s resume, while strong, did not stack up to some as being worthy of the Hopkins job. Sources told The Healthcare Channel that an important factor in the hiring of Dr. Rothman was the strong support by then-Chairman of Medicine Myron Weisfeldt, MD. Both Rothman and Weisfeldt have roots in New York at the Columbia University College of Physicians and Surgeons. Weisfeldt was the Chairman of Medicine at Columbia from 1991-2001 and Rothman was a Professor of Medicine. In 2013, another New Yorker began to influence Baltimore’s Johns Hopkins. Michael Bloomberg donated $350 Million in 2013, and recently committed to donating another $1.8 Billion. In 2017, Dr. Rothman was appointed to a second six-year term as Dean and CEO. In 2013, Johns Hopkins board of trustees member David Aronson was promoted to Chairman of the Board of Trustees. He also sits on the board of Johns Hopkins Medicine. Aronson, a securities lawyer, lives in New York now as a banker and hedge fund manager. He is a New York financier, like Mr. Bloomberg. The two men know one another very well, which is apparent from a quick Google search. They form a bit of a mutual admiration society. Billions in donations tends to create that type of response. But large philanthropic donations by plutocrats rarely come without strings attached. 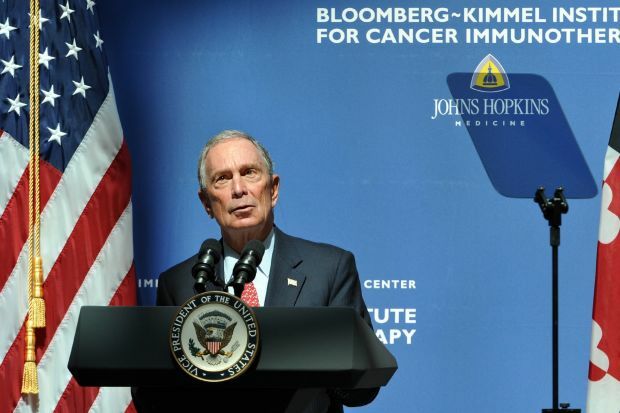 Mr. Bloomberg now has a large influence over matters at Johns Hopkins medicine and the entire university. Did Mr. Bloomberg orchestrate the promotion of fellow Wall Streeter Aronson and the appointment of outsider Dr. Rothman to Dean/CEO of the medical center? In 2011, 870-miles away, the independent children’s hospital in Tampa Bay wanted to gain respect and rise in the medical center rankings. The board essentially gave away the hospital to Johns Hopkins in exchange for Hopkins sending its clinical staff down to Florida. The new Johns Hopkins Medicine CEO, Dr. Rothman, was in charge of this critical expansion into a remote state. Sandra F. Diamond became the Chair of the Board of Trustees at Johns Hopkins All Children’s Hospital. She is a real estate lawyer and assists high-net-worth clients transfer assets into protected real estate. However, the Johns Hopkins takeover of the Tamp Bay All Children’s Hospital seems to have violated the rule of “If it Ain’t Broke, Don’t Fix It” The pediatric cardiac surgery department is a case study. Under the leadership of Dr. Rothman, Johns Hopkins quickly installed their own team of management into Tampa. Jonathan Ellen became the new CEO. The pediatric cardiology program as received new surgeons and program leaders. The Tampa Bay Times states, “(Before Johns Hopkins took over) Dr. Paul Colombani, the director of pediatric surgery at the Johns Hopkins Children’s Center, became chief of pediatric surgery. Dr. James Quintessenza, the former Tampa chief of pediatric heart surgery, Had been taking the most cases, including many of the hardest ones. He had consistently good results. Dr. Jeffrey Jacobs also performed surgeries at the hospital. Dr. Jeffrey Jacobs performed surgeries, too, but was a leader outside the operating room. He edited academic journals, spoke at conferences around the world and sat on committees devoted to improving safety. A third surgeon, Dr. Paul Chai, operated at All Children’s only occasionally. In 2013, Chai left for a job in New York. The hospital’s new leaders replaced him with Dr. Tom Karl, then 65, who had spent the previous six years practicing at a children’s hospital in Australia. Dr. Tom Karl joined the hospital as a new heart surgeon. Karl had worked at some of the nation’s best pediatric heart surgery programs and published more than 100 peer-reviewed papers. But in 2008, the University of California San Francisco had suspended his clinical privileges amid allegations he “disrupted patient care and educational activities,” he later told the Florida Board of Medicine. He said internal politics were to blame. The changes troubled Quintessenza. After disagreements with Colombani, he was demoted, then pushed out of the program in June 2016. He had been at the hospital for almost three decades. Midway through 2017, All Children’s replaced Quintessenza with a young heart surgeon, Dr. Nhue Lap Do, straight out of fellowships at the Johns Hopkins Hospital and the Children’s Hospital of Philadelphia. Karl and Jacobs would handle all of the hardest cases. Back at the Heart Institute, things got worse after Quintessenza left in June 2016. With Karl and Jacobs as the only surgeons, the program experienced its highest six-month mortality rate in eight years, the Times analysis shows. At least four children died. In one 2016 case, which the Times first reported in April, Karl left a surgical needle in the aorta of newborn Katelynn Whipple. Other physicians knew it was there. Nonetheless, Katelynn was discharged with the needle in her body. It was removed three weeks later during an unrelated surgery at St. Joseph’s Children’s Hospital in Tampa, records show. Leaving a surgical needle inside a patient is virtually always a serious, preventable mistake. It happened two times that year in the Heart Institute, All Children’s acknowledged in April. The errors and rising death rates weren’t the first indications hospital leaders had that the program was in trouble. Late in 2015, the four physician assistants who worked in the operating room called for a meeting with their supervisor and Colombani, the chief of surgery. They brought up specific operations that had gone badly and expressed doubt in Karl’s and Jacobs’ surgical abilities, according to several people with direct knowledge of the meeting. One former All Children’s cardiologist, Dr. Elise Riddle, also noticed poor results…Riddle testified that she could not access comprehensive data on the All Children’s Heart Institute’s performance, even as chairwoman of the program’s quality improvement committee. “Essentially all cardiologists were forbidden from looking at our outcomes data,” she said. Riddle added that the administration and the surgeons had “squashed transparency” by prohibiting discussion on ways to improve care. “Multiple levels of administration had actually tried to hide some outcomes,” she said. In little more than a year, the mortality rates for pediatric heart surgeries doubled, from 5% to 10%, which was now three-times greater than the average mortality in Florida. Surgical wounds were five-times more likely to dehisce, or spit open. The risk of sepsis was three-times the average, according to the Times. “Even as turmoil engulfed the Heart Institute, CEO Ellen announced he wanted to expand it. In May 2017, he sent an email to hospital staff announcing moves that would support “continued growth of our program,” including a promotion for Jacobs to co-director. Growing programs like the Heart Institute had been central to Johns Hopkins’ strategy from the beginning. In 2012, Johns Hopkins rolled out an ambitious plan to create new revenue sources that would ultimately double its profit, adding between $150 million and $200 million over the next few years. A portion of the money was expected to come from expanding “high-demand, high-revenue” specialty centers, company newsletters show. The All Children’s Heart Institute fit the bill. Heart surgery patients represent less than 3 percent of All Children’s admissions. But in recent years, they have been responsible for between 13 percent and 17 percent of the hospital’s total billing, the Times analysis shows. Heart patient billing peaked at $142 million in 2014. In addition, the Website for Jonathan Ellen is now blank indicating that he is no longer the CEO of Tampa’s All Children’s Hospital. Ellen was promoted to CEO by Dr. Rothman. Ellen was a pediatrician in Baltimore. What were his qualifications to run a large business? Up in Baltimore, the Healthcare Channel has learned of another cardiac surgery safety concern. Before becoming aware of the Tampa Bay scandals above, the Healthcare Channel had coincidentally emailed Johns Hopkins Dean/CEO Rothman to inform him that an adult cardiac surgeon, who shall remain anonymous, with a dismal safety record of his own, had somehow made his way onto the staff in Baltimore, albeit in a remotely affiliated rural hospital. Prior to going to Baltimore, this surgeon was acting as the head of cardiac surgery at a major New York hospital when the program was also shuttered by the state due to high mortality rates, much like the Tampa situation. Years before, this surgeon had tried to join the Johns Hopkins staff and was not hired due to his past track record. But that was before the New York influences came to Johns Hopkins. He then somehow gained support from other professors at Johns Hopkins with New York backgrounds, sources told The Healthcare Channel. Dr. Rothman did not immediately reply to The Healthcare Channel’s email alerting him to concerns over this surgeon. Like most medical networks, Johns Hopkins has expanded quickly in order to gain leverage over insurers with pricing. In many cities, a single large network controls a majority of the hospitals. One downside to that expansion is the loss of quality control. What used to be a prestigious title as surgeon working for a top-ranked famous medical center is now easily obtained by doctors working in small hospitals. Some medical networks are working to weed out the bad apples, realizing that they expanded too fast. A major network in the DC-Baltimore region has fired hundreds of doctors, for example. The tragic incidents in Tampa raise many questions about Johns Hopkins Medicine: How did an MIT-trained lab researcher get the job as the CEO of the biggest and best medical center? Did Michael Bloomberg install New York cronies and take over Johns Hopkins after donating billions? Has Johns Hopkins learned anything from the unnecessary deaths at the Tampa Bay children’s hospital? How did an adult heart surgeon with a history of high deaths rates find his way onto the Johns Hopkins staff despite being turned down previously? Are Johns Hopkins and most other medical centers expanding too fast and losing the ability to control for quality? 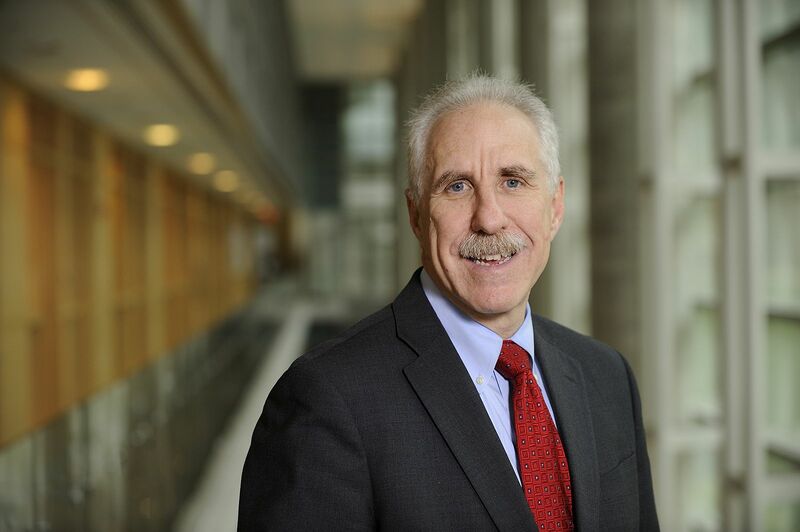 Update December 12, 2018- Possibly due to The Healthcare Channel’s interactions with Dr. Rothman’s office yesterday, the university announced that the CEO of Johns Hopkins All Children’s Hospital and two other hospital administrators have resigned. This entry was posted in - Policy, Cardiac surgery, Cardiology, Columbia, Johns Hopkins, Pediatrics. Bookmark the permalink.